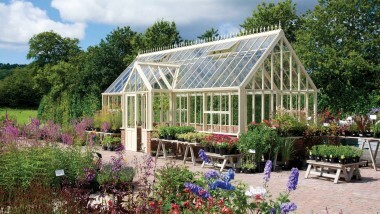 View our high quality range of glasshouses. With 80 years’ experience in greenhouse manufacturing, we’ve built some of the highest quality, most-recognized, and longest lasting greenhouses in the country. View previous examples of our strong, durable and attractive custom made greenhouses. 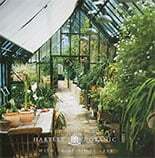 The Hartley range of Victorian greenhouses exudes the utmost respect for the sense of style, function and proportion. Modern Horticulture Greenhouses are a fusion of contemporary style and concealed engineering, resulting in a more desirable wider glass pane structure. Large greenhouses can help you to make the most of the space available to you in the largest of gardens. From small lean-to greenhouses suitable for gardens with limited space, to larger abutting greenhouses set in multiple ache gardens, view our lean-to & abutting range. Our range of contemporary greenhouses are designed to bring a distinctive and up-to-date look and feel to modern-day gardens. For those looking for a more contemporary feel, the glass to ground greenhouse range will sit comfortably in any garden. With a low-level brick base wall, your greenhouse gains an extra aesthetic effect, keeping tools and other supplies hidden from view. Whatever you need to maximize your greenhouse growing, Hartley have a wide range of greenhouse accessories, and options. Our small greenhouses are perfect for gardens where you want to maximise your growing area, but have limited space. For those who enjoy smaller greenhouses, our 8x6 greenhouses are the perfect opportunity for people who own small gardens. With such an amazing variety of designs available within our 8×10 greenhouse range, we work hard to ensure that we offer greenhouses for all kinds of gardens and all kinds of gardeners. We offer a splendid range of 8x8 greenhouses that supply the perfect solution for those that require a specific size of greenhouse.